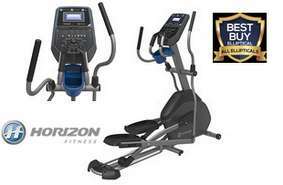 Advanced Bluetooth connects to multiple devices to stream media through integrated speakers Includes free app to control your workout and push data to favorite fitness apps, plus device holder and rapid-charge USB port Quickly shift between 20 levels of resistance and incline with one-touch keys, quick-rotating dial and handle bar controls 23lb Heavy flywheel for smooth motion Certified Six-Star Frame maintains ideal body position and maximizes comfort Rugged frame built for performance and durability Lifetime frame and brake warranty. 'Staying in your target zone is easier with our innovative cardio compass display that works with any wireless heart rate receiver to provide clear workout feedback. Your workout should work with your life. That's the idea behind the Evolve 3. 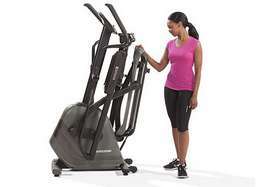 Simple assembly, one-step folding, a compact footprint and the most comfortable feel make this elliptical one of the best moves you can make to improve your fitness. Take the next step with the Evolve 5. When you're ready to get more serious with your training, the heavy flywheel, expansive programming and large, backlit display make the Evolve 5 perfect. 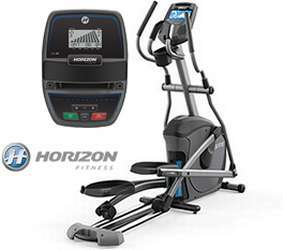 You'll also appreciate the simple assembly, effortless folding and compact footprint that make your elliptical easy to own. 'Stay in your target zone with Polar heart rate monitoring. The Elite E7 is one of the best moves you can make when you're ready for more advanced training. Power incline adds challenge at the touch of a button, and Polar heart rate monitoring makes it easy to stay in your target zone. 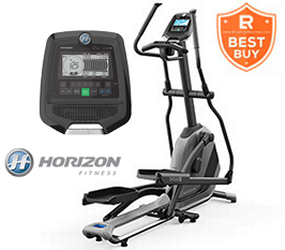 When you want both advanced training features and truly innovative entertainment, the Elite E9 is the perfect elliptical for you. You'll notice the smooth, fluid motion due to the heavy flywheel, and you can escape to exotic locales with the immersive, forward-motion Virtual Active videos that are synced to your workout and play right on your console. The Elements of Natural Motion, Six key design details work in concert to create the most natural and comfortable elliptical workout. From the handlebars to the pedals, everything is right where it should be. 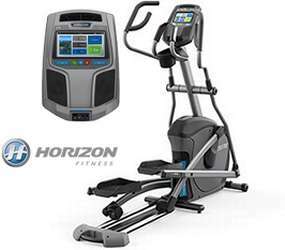 Horizon ellipticals are designed to fit your body and move the way you move thanks to our exclusive SixStar elliptical frame. Take your workout to the next level with the all new Elite and Evolve series. Viafit connected to make sure every workout counts. 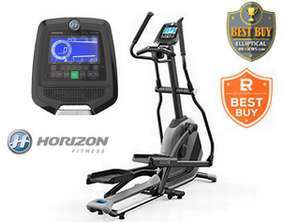 Arizona Extreme Fitness will deliver and setup your favorite quality Horizon Fitness Elliptical Trainer for home or commercial use in Prescott, Flagstaff, Sedona and Phoenix, Arizona at your location. Come on in and browse our 3000 sq ft warehouse showroom in Prescott Valley, Arizona and try before you buy or if you already know what you want just call us for our best price and we will deliver or ship it to you depending on your location in the USA. 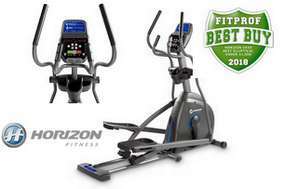 We sell, deliver, setup, install and service the above Horizon Fitness Elliptical Trainers and more.